If you believe you should be able to register as a BAMA member, but are having difficulty, please contact holly@bama-fl.org. Carissa Gudenkauf comes to us from KeyInsight Consulting LLC. Is your organization spending precious time and $$ in the right place? This workshop will help you answer that question - using YOU as the case study! So complete the 6 minute assessment today. Did you know? 51% of employees are actively looking for a new job or watching for new job openings according to Gallup Polls "State of the American Workplace". Gallup has also determined that 70% of a team's engagement depends on the direct manager. Engagement levels have been directly correlated to outcomes of productivity, safety and turnover. Learn through a series of case studies how Best in Class companies are accurately predicting and coaching performance to produce real results. Stop playing Checkers Leadership. Take action on driving engagement and performance by developing people based on their motivating needs and capabilities. In this presentation, we will explore a tool which simplifies the process of guessing what each employee's drives are - by using YOU as the case study. To get the most out of the workshop, complete the 6-minute assessment online via this link<https://assess.predictiveindex.com/7NWmX> by April 22nd To learn more about the assessment and tips for taking it (quiet room away from distractions, etc), review this flyer<https://drive.google.com/open?id=1NOiLToxpzIlCEA-LEB4cX_jbcGW5q1ND>. 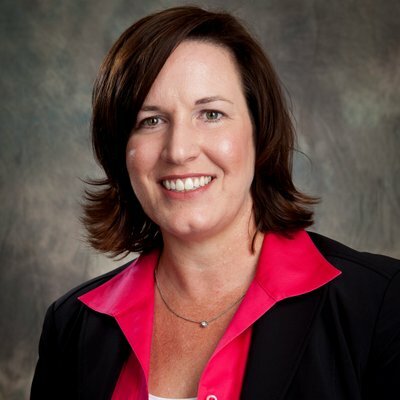 Carissa Gudenkauf of KeyInsight Consulting LLC has 20 years of experience in technical and production workplaces in roles of engineer, manager, business analyst, consultant and trainer. Carissa earned her Bachelors in Chemical Engineering and Masters in Business Administration from the University of South Florida. She is a certified Process Master, Six Sigma Green Belt and Strategist with MVP Results and the Predictive Index Assessment. Carissa is currently earning her Professional Coach Certification through the rigorous IPEC Coaching program. She helps organizations make people decisions with a suite of science-based tools in her work with the Predictive Index and helps individuals focus their energy – and get out of their own way – with coaching. All entrees are served with Mixed Greens Salad, Dinner Rolls, Oven Roasted New Potato, Sauteed Mushrooms, Soda, Iced Tea and Coffee. Don’t delay registering for this event as the registration will be closed at 50 guests.